It’s in the historic Demcor Building in the Beltline and has exposed brick, wooden beams, 14-foot ceilings and, perhaps most importantly, a wine fridge. 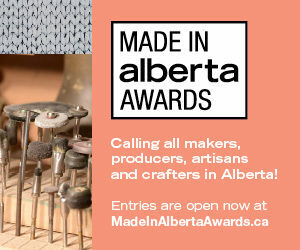 Where is it: 202, 239 10 Ave. S.E. 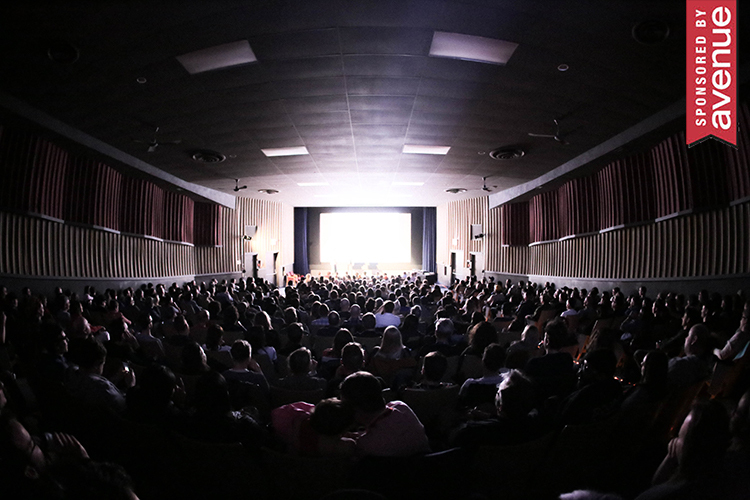 Brookline Public Relations has been based in Calgary for nearly 14 years. But what you might not know is that the company’s name and office space pay tribute to another city that’s also near and dear to the heart of principal and founder Shauna MacDonald. The company’s name, Brookline, references an area of Boston that MacDonald lived in for several years. MacDonald says Brookline is comparable to Calgary’s Kensington area and was her home while she completed her graduate degree at Boston University and later worked in public relations. 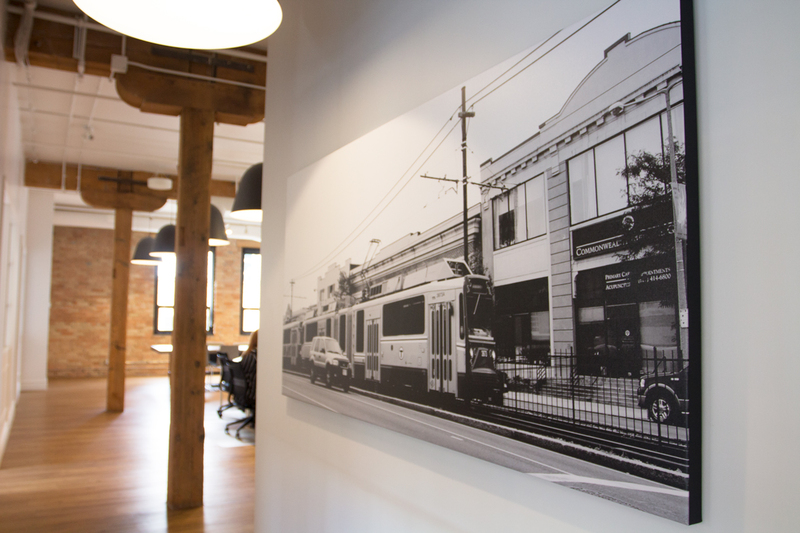 Additionally, the office boardrooms are named after different Boston neighbourhoods/streets and there are 16 black and white photos of the Brookline area throughout the office. 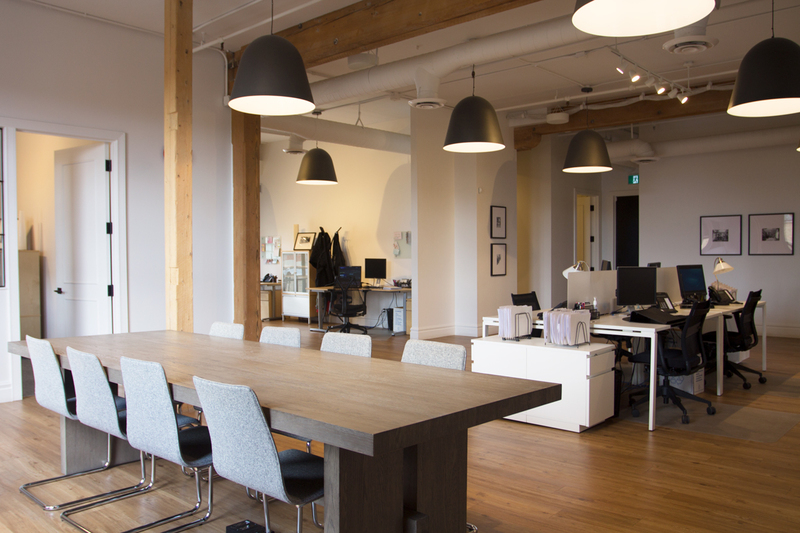 The full-service public relations agency, which has satellite offices in Edmonton and Toronto, moved into its current office in the historic Demcor Building in 2016 after outgrowing its former space in the Beltline’s Lorraine Building. The new office space needed to be completely gutted and renovated, but there was plenty to love about its original exposed brick, wooden beams and 14-foot ceilings. These features were enhanced with the addition of eye-catching lighting fixtures and glass interior walls. The result is an atmosphere that MacDonald says helps promote a collaborative, open and fun office culture – qualities that are at the heart of what they do. 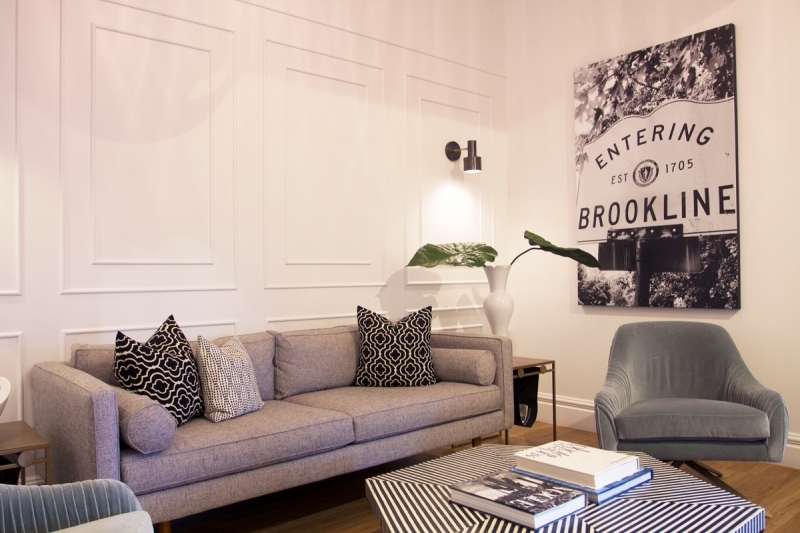 The lobby was designed to look like a stylish, inviting living room. MacDonald commissioned a Boston photographer to take the photograph on the wall, which features the very sign that was outside her Boston apartment building. 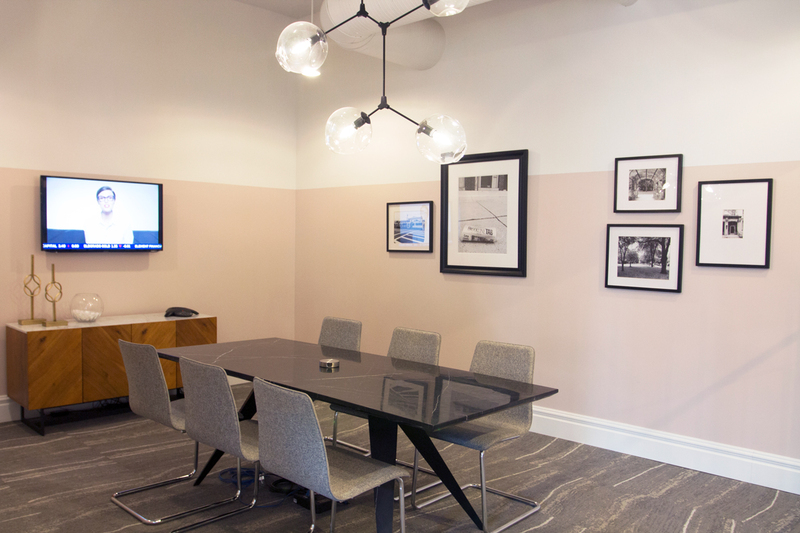 The Beacon boardroom is named after Boston’s Beacon Hill neighbourhood. 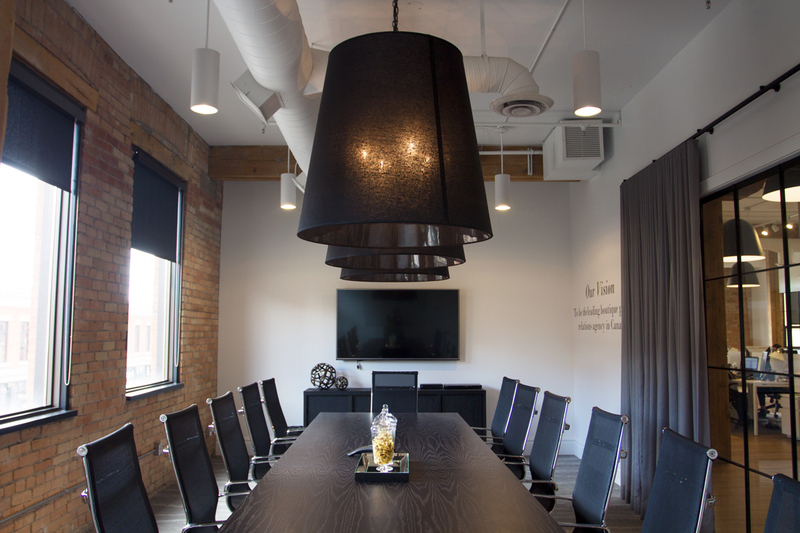 The company’s vision is featured on the wall, which is “to be the leading boutique public relations agency in Canada.” Every Tuesday, the staff know it’s time for the “traffic” staff meeting in this boardroom when a “traffic jam” is played over the intercom. The songs, chosen by the office’s administrative coordinator Shama Walji, can range from ’90s hip-hop to country music during Stampede. This room is also used to host regular events with bloggers, influencers and media. 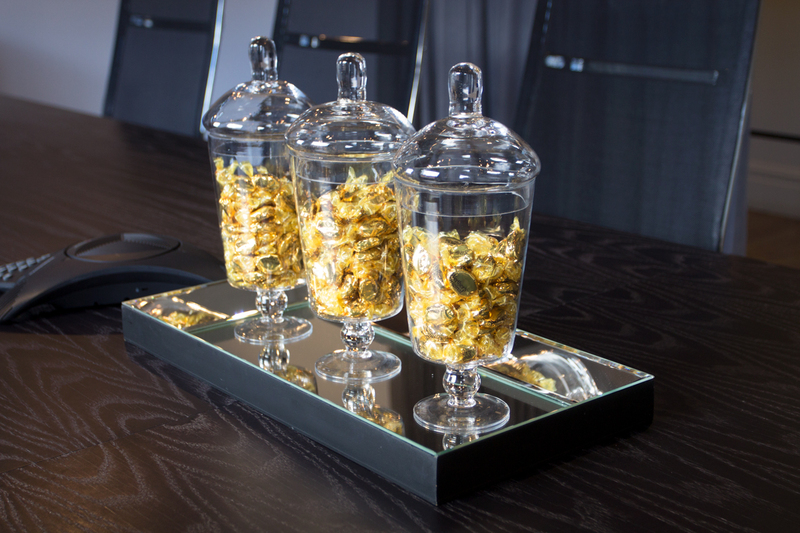 Meetings are a little more fun thanks to candy jars on the boardroom table. 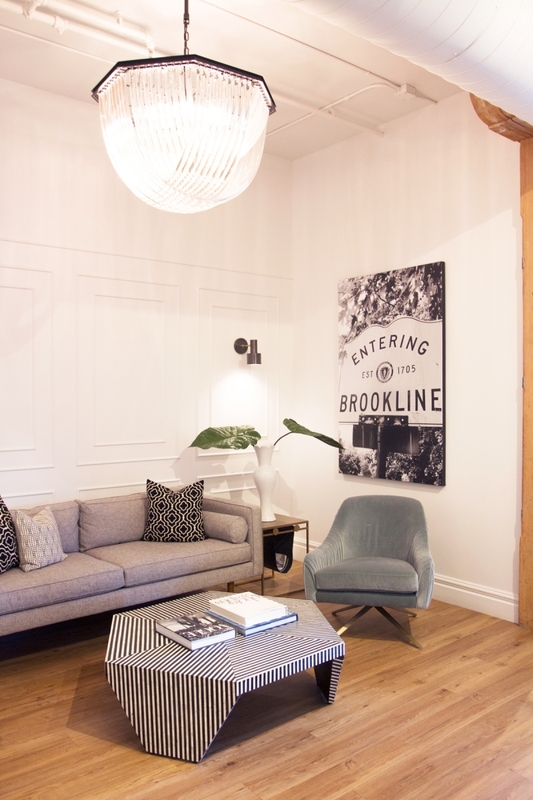 There are 16 black and white photographs and canvas prints of Boston’s Brookline area throughout the office. 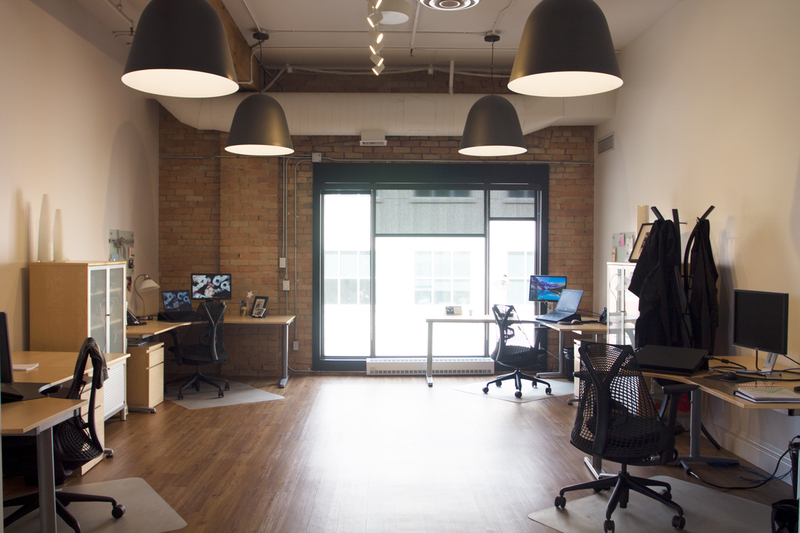 Further into the office, there’s an open concept area with desks and a collaboration table. The table is used for anything from brainstorm sessions to team lunches. The building’s original wooden beams and 14-foot ceilings are particularly well-displayed here. 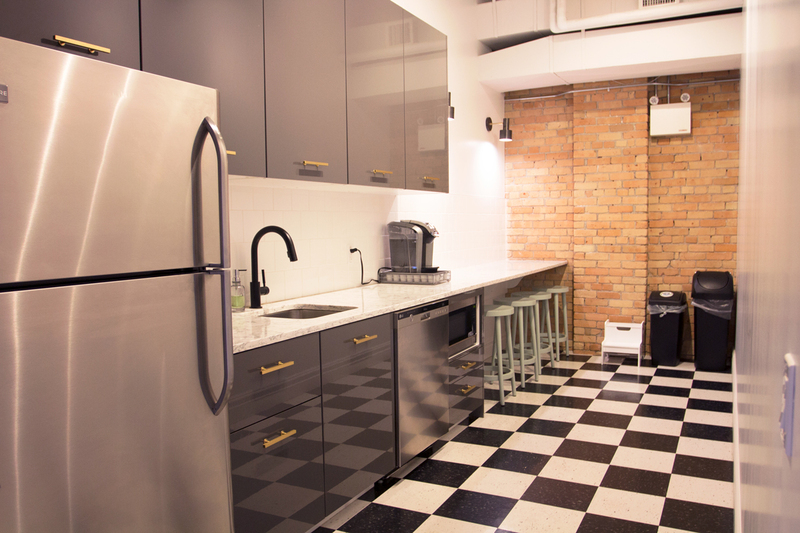 Most of the rooms in the office feature the building’s original rustic red brick walls. Brookline’s kitchen has plenty of character with its exposed brick and checkered floor. 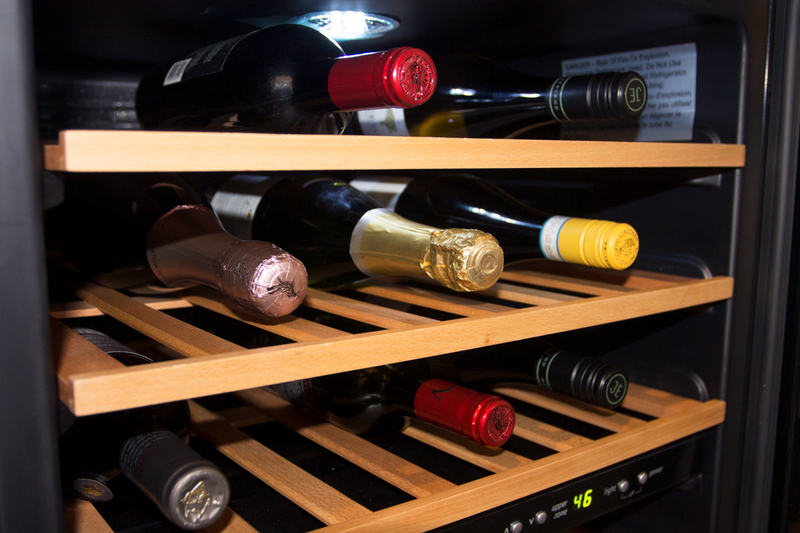 This wine fridge in the office’s storage room was a gift from the office’s contractor, Joe, because he enjoyed working with them so much. The team breaks out a bottle for special occasions, client wins or just to mark the end of a great week.